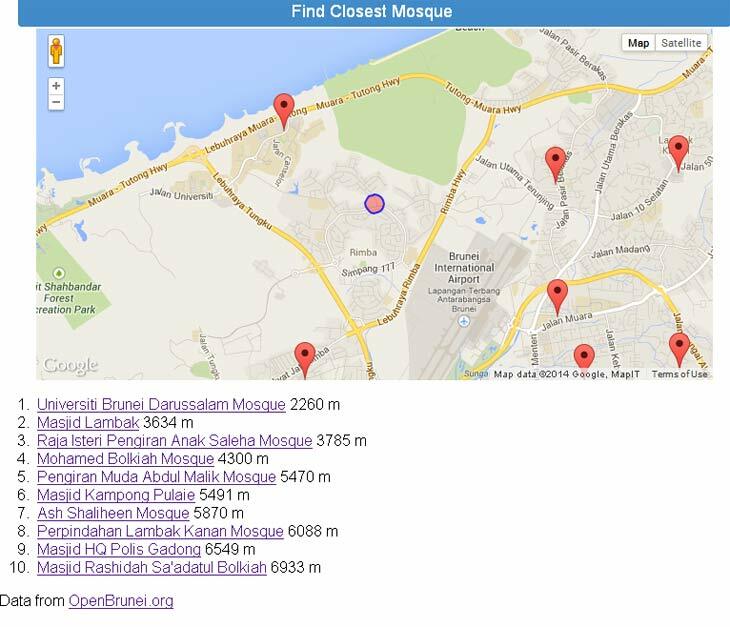 Locations gathered from the Ministry of Religious Affairs website, Foursquare check-ins, Facebook places, Google Maps and The Brunei Times for newly constructed mosques. The map excludes surau (prayer halls) in the district. Brunei Geek Meet created “Masjid Mana?” based on this data. Move the centre of the map for the 10 nearest mosques in metres. Click the picture below to visit the mobile friendly website. Please let us know of any discrepancies in the comments below.